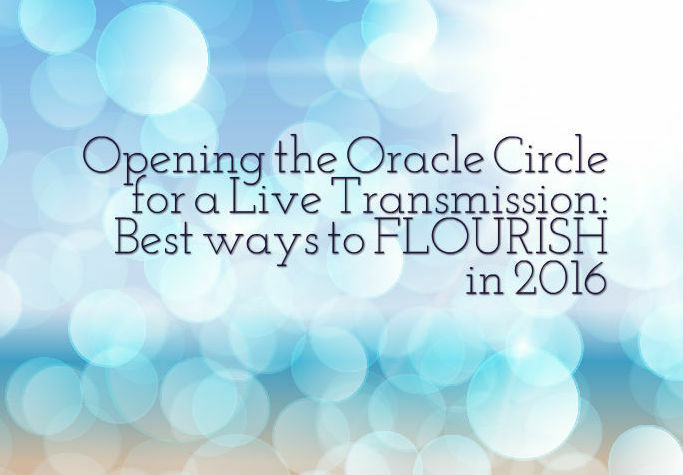 You’re all signed up and ready to go for the special public Oracle Circle Live Transmission on the best ways to flourish in 2016. There’s a player on that page, but if you can, I encourage you to download it right away, so that you can listen often, The clearing ritual at the front end alone is worth the price of admission, and you can participate as many times as you like. Also, I’d love to hear how you liked it! So far I’ve only gotten rave reviews. Feel free to tag me in a post on FB, comment on one of the web pages, or shoot me an email. It always gives me great pleasure to know how my work is received. Finally, if this event has gotten some energy moving for you and you’d like to set up a conversation with me to explore how we might do more work together, you can book a Co-Creative Confab with me here. P.S. : Since you are now on this list, you’ll be one of the first to know when I decide to host another similar event. Huzzah!